Sakkarai Pongal/ Sweet Pongal/Sarkarai Pongal - An authentic South Indian sweet prepared during the harvest festival of Pongal/Sankranthi. 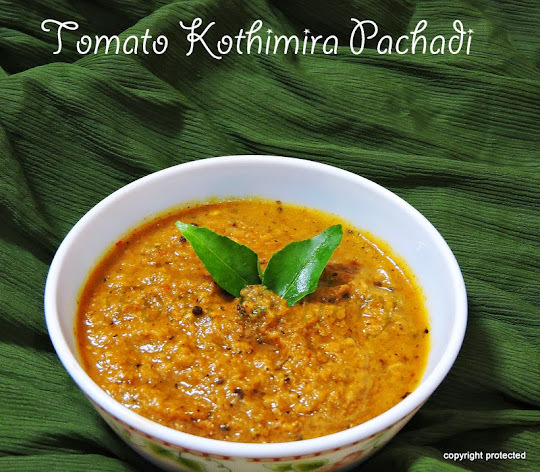 It is also prepared in temples as naivedyam or prasadam. Pongal is made with rice, lentils and jaggery and flavored with cardamom and ghee.. absolutely delicious!! The color of the pongal depends on the jaggery used. I have used normal jaggery. If you need a darker shade, then use Paagu vellam. Cardamom - 3 pods, peel and powder them. Dry roast moong dal until the color changes to light brown. Fry cashews and raisins in a tsp of ghee till the cashews turn golden brown and the raisins puff up, remove and keep aside. Heat about 1 cup of water and add jaggery to it, let it dissolve. Remove from fire and strain to remove any dust. Keep it aside. Pressure cook the rice and moong dal with about 2-1/2 cups of water until 4 whistles. Mash well with the back of a ladle and then add the jaggery syrup and mix well and let it cook for about 5 mins. Add the ghee and mix till you get the proper consistency. Then add the fried cashews, raisins and the powdered cardamom and mix well and switch off. 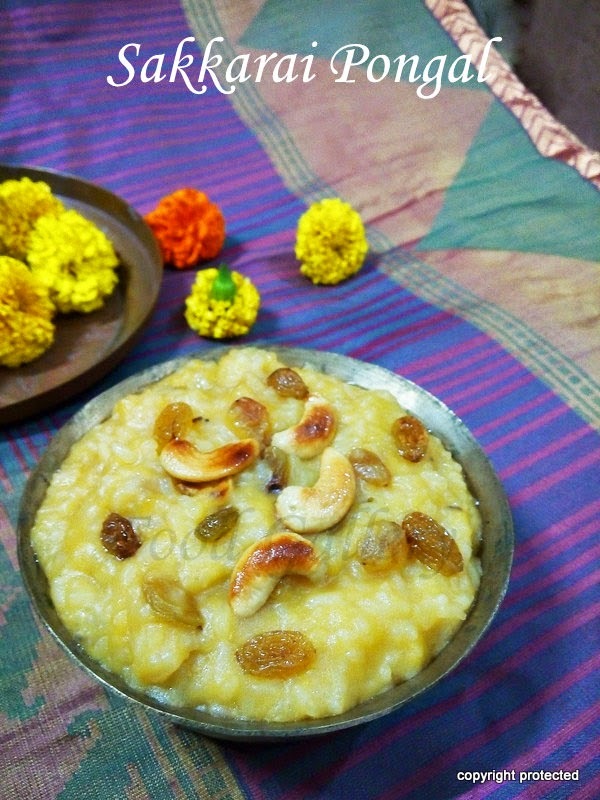 Delicious Sakkarai pongal is ready. Enjoy! !